Who Would the Oilers Protect in an Expansion Draft? The NHL Expansion train is once again picking up speed, as League General Manager’s were informed that they could expect a formal decision on the expansion process prior to the coming 2016 NHL Draft, scheduled to be held June 24-25th at the First Niagara Center in Buffalo. The expansion process, and the potential of adding new teams to the current 30 team League, began on July 6th of 2015, when the NHL made an expansion application available to numerous interested parties and individuals, eventually receiving 16 requests for application. Of these 16 requests, the most notable of which are undoubtedly those based out of Las Vegas as well as Quebec City. Although previous reports have been denied, some deep within the hockey community have shared the opinion that an NHL team in Sin City could be a done deal. A return to Quebec City, however, is reportedly not as close, leading to the perception that the NHL could expand into a 31 team League for a given amount of time. How Would an Expansion Draft Work? With expansion comes the need to fill the roster of an entirely new club, something which ultimately takes place through the process of an expansion draft. To clarify, if the NHL were to add one team, each NHL team would in fact surrender one player, while if two teams were added, each club would in turn surrender two players, leaving the potential for a number of highly skilled players to find new homes with expansion franchises. Although it has yet to be determined, the NHL would outline a select number or distribution of players which each franchise can in fact protect, allowing them to securely remain with their current franchise. 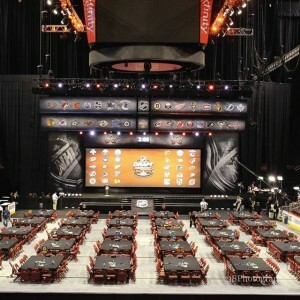 TSN’s Darren Dreger, who has been covering the current General Manager’s Meetings in Boca Raton, Florida, identified two likely ways in which the draft itself would take place. In one format, all NHL teams would be allowed to protect three defensemen, seven forwards and one goaltender. Outside of these protected players, the expansion team(s) would be able to select just one player from each NHL club. In a second format, Dreger forwarded the potential for teams to protect eight players, with no specific allotment of positions, as well as one goaltender. This option would allow teams who are heavy in terms of defensive talent to protect more than three defenseman, or on the other hand, up to eight forwards. However, prospects, and players who have played less than two seasons, either NHL or AHL come the conclusion of the 2016-17 season would be exempt from selection and would not need to be protected. Therefore, a skater such as Auston Matthews, who will be a rookie next season, will not need to be protected. However, a player such as Connor McDavid would need to be protected, as come the conclusion of the 2016-17 season, he will have played two seasons of professional hockey. This process is designed on the expectation than all or any expansion teams would begin play in the 2017-18 NHL season. The entire idea of expansion is certainly exciting, however it would force each and every NHL team to heavily consider those who they would protect, as well as those who they would make available to potential selection in an Expansion Draft. For the Edmonton Oilers, choosing these protected players would be anything but a simple task, especially so considering how weak their lineup has been throughout recent history. But, lets attempt to project those who the Oilers would protect in the case of an expansion draft, based on the model of securing three defenders, seven forward and one goaltender. Is there any point in making an argument here? McDavid looks as though he’ll be the best player in the NHL for a long time. Heck, he might already be. 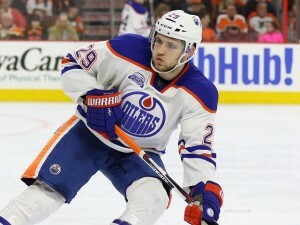 Likely the Oilers’ number-two center for the foreseeable future, Draisaitl brings size to the centre of the ice for Edmonton, a characteristic extremely important in the big bad Western Conference. The third overall pick in 2014, the big German has enjoyed a breakout season in 2014-15, yet has been inconsistent. Regardless, he is a vital part of the Oilers future. One of the best left-wingers in the NHL on a friendly contract with an AAV of $6 Million per year, Hall is another player who is going nowhere anytime soon. The Oilers, who are slightly thin on the wings, would be crazy not to protect Hall, a former first overall pick, in an expansion draft. Although Eberle has been the focus of trade rumors in recent seasons, there is absolutely no chance the Oilers would risk letting the skilled winger be taken in an expansion draft. Edmonton’s top right winger has been an offensive staple in the Oilers lineup since entering the NHL in 2010-11, and more recently has found tremendous chemistry with newcomer McDavid. Ryan Nugent-Hopkins has long been the target of trade rumors. 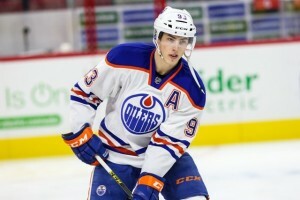 Also the target of trade rumors, Nugent-Hopkins could be playing elsewhere by the time the possible expansion draft in 2017 comes into play, however, if he does in fact remain with the team, he is simply too valuable to let loose, unless perhaps the Oilers find themselves in a sudden cap crisis. Plagued by injuries throughout his career, and again in 2015-16, Benoit Pouliot isn’t the most valuable player, especially on a team laden with such valuable pieces as the Oilers, but he does provide Edmonton with strong forward depth. Like Nugent-Hopkins and Eberle, Yakupov too has been the subject of trade talk, and is the most likely of the three to be traded prior to an expansion draft. However, despite his continually diminishing value, the Oilers certainly would not let Yakupov go without a return. Sure, his contract does expire following the 2017-18 season when he becomes an RFA, but chances are he won’t draw an offer sheet, meaning the Oilers could re-sign him at a much lower cost, based on his current career projection. When it comes to the Oilers’ top defenseman, Oscar Klefbom will surely be protected. 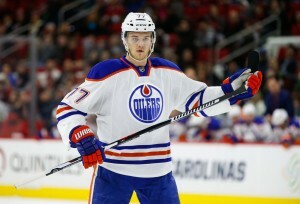 Drafted by Edmonton 19th overall in 2011, Klefbom was recently signed to a seven-year contract extension worth nearly $30 Million. An gifted offensive player who plays a sound defensive game, there is a reason why the Oilers decided to keep him in town long-term. Selected by the Oilers 7th overall in 2013, Darnell Nurse is a physical defenseman who plays a defense-first style of game, something which Edmonton desperately lacks. Although he does have an offensive upside to his game, he has yet to showcase it at the NHL level, yet when he does, Nurse could become a pillar on the Oilers’ back-end. An incredible surprise for the Oilers in 2015-16 before an injury ended his season, Davidson, like Nurse, is also a sound defender who can chip in offensively. At 6’2″, 210 pounds, Davidson brings decent size to the blue-line, making him a solid piece for the Oilers moving forward. Given his upside and young age, chances are Edmonton wouldn’t risk losing him in an expansion draft. I would love to have Laurent Brossoit’s name here, but as of now, it is simply too early to tell whether or not he will develop into the Oilers’ future number-one netminder. In Talbot, the Oilers have a goaltender with NHL experience who has been nothing short of excellent in his time in Edmonton, despite being shelled on a nightly basis. Recently signed to a three-year extension, Talbot provides the Oilers with the best opportunity to win, yet an expansion team in search of a quality young netminder could come calling for Brossoit in the future. To put it frankly, the Oilers could have a much less difficult time determining who to protect in an expansion draft than previously thought. In terms of forwards, all of the Oilers’ elite young talents would be secured, while a few depth players’ roles on the roster would also be ensured. In fact, of those not mentioned above, there is no players who the Oilers would truly miss if they were selected, with a few exceptions. The selection Matt Hendricks or Mark Letestu by an expansion team would gut the Oilers in terms of forward depth as well as leadership, while the loss of a player such as Patrick Maroon, although not monumental, would strip Edmonton of much needed size. On defense, the Oilers lack a great deal of depth and skill to begin, making it much more difficult for the loss of a defenseman to significantly impact the team. The most notable defender left off of this list however is undoubtedly Andrej Sekera. 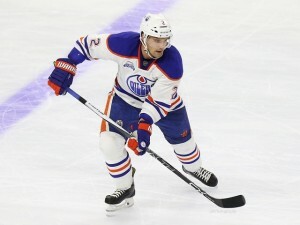 Signed by the Oilers to a six-year contract in the Summer of 2015 with an annual cap hit of $5.5 Million, the Oilers could risk letting Sekera go if his play falters, especially so if Edmonton can significantly improve their defense-core in the near future. Otherwise, the losses of Mark Fayne, Eric Gryba or Griffin Reinhart would be less than significant. In goal, the Oilers lack any sort of goaltending prospect, other than Brossoit of course, and it is too soon to tell whether he will develop into a true number-one NHL goaltender. As a result, Talbot is the only true option for the Oilers to protect. 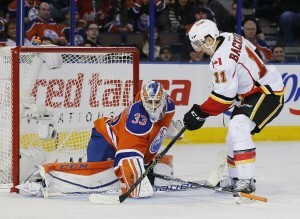 He has played extremely well for the Oilers in his first season and has experience to boot. Given his contract extension, Talbot will call Edmonton home through the 2018-19 season, while Brossoit will have to play his way into the starters role, despite recently signing an extension to keep him with the Oilers through 2017-18. What are your thoughts? Who should the Oilers protect in an expansion draft, and who should they make available? Comment your thoughts!